Do you want to try natural cancer cures to improve your cancer but too afraid of ditching the medical system? You know that chemotherapy is dangerous but believe that doing nothing make it worse. If this is you, then you have come to the right place. In this post, I’m going to talk about the seven most common objections to trying natural cancer cures. After you have read this article, you will make your fear of alternative treatments vanish. Doing so might save your life. Can An Alkaline Diet Save You From Cancer? Cancer can’t survive in an alkaline body. Learn the steps you need to follow to eat an alkaline diet which protects you from cancer. Find out how to test if your body is in the safe ranges. Get a detailed list of safe food and what you need to avoid at all cost to not create more cancer. Research show that vitamin D from the sun can lower your cancer risk. Daily sun exposure can help you avoid doctor visits in the months ahead. Learn the amazing health benefits of vitamin d and how to maximize it. And discover why ditching sunscreens can save you from cancer. Not drinking enough water can cause fatal malfunctions in the body. Dehydration can lead to weakness, dizziness, sluggishness, headaches, fainting, weak digestion or other problems. ​In this post, you are going to learn the essential functions of water and the Dehydration Treatment Plan. You also get informed about the contamination of our water supplies. And how to protect yourself from these harmful chemicals. Women that walk more than one hour a week after their treatment are less likely to die of breast cancer. Regular exercise is necessary for physical fitness and good health. A scientific study showed a 61% decrease in cancer in rats having access to a running wheel. Learn 20 fabulous workouts for cancer patients with lower energy. These exercises oxygenate your body but don’t deplete you. So now you can exercise for cancer and raise the odds of surviving cancer. ​Scientific studies show that vegetarians have less cancer than meat eaters. Meat and animal products can cause havoc in your body and create a reliable environment for cancer. In this post, I’m going to teach you about how a healthy vegetarian diet can improve your cancer. ​You learn how animal products can increase the chances of cancer. And why a plant-based diet can prevent it. Not getting enough sleep can raise your cancer risk. Studies of night workers show up to a 60% increase in breast cancer. When you don’t sleep enough, you make it harder for your body’s organs to repair and rejuvenate. In this post, you’re going to learn the optimal times when you should sleep. Discover why melatonin is crucial for your health and how a shortage increases cancer. Learn why insomnia is common among cancer patients. And get seven simple tricks to beat it now. Cancer Surgery only has an average success rate of 10-15 %. Before you try it, you should learn the facts about it. 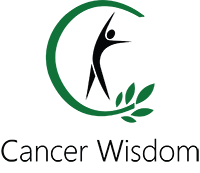 In this post, you'll discover everything about cancer surgery and the devastating side effects. Learn the questions you should ask your surgical oncologist before risking your life. Few talk about the mind and body connection to cancer. Unresolved emotional traumas like resentment or anger can influence the body to create cancer. The side effects of chemotherapy are life-threatening. Only 2% of patients on average survive within a five year period. If you don't get the real facts about it, then surviving from cancer can become near impossible. In this post you learn everything you need to know about chemo. This information can save your life.